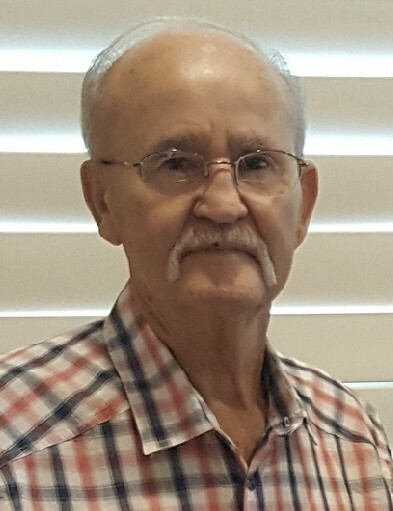 Crawford Lanier Fair, 78, of Athens, Georgia, previously from Jacksonville, Florida, passed away Monday, January 28, 2019 surrounded by his family. Crawford was the son of the late Claude and Dollie Irene Sullivan Fair. In addition to his parents, he was preceded in death by his brothers Kenny and Claude Fair and sisters, Irene Brown and Shirley Self. Crawford is survived by his wife Bonnie of 43 years, daughter Lori Fair, son Brian Fair, and granddaughter Courtney Carroll (Matthew), brothers Larry Fair (Penny) and Charles Vernon Fair, and many loving nieces, nephews and extended family. Crawford was a loving husband, father, grandfather, and friend to everyone. Crawford was passionate about his work. While living in Jacksonville he was the warehouse manager of American Warehouse and at the time of retirement he was Vice President of Operations at Imeson Distribution Center. He spent his free time watching Western movies and driving the back roads of Georgia and Florida. Visitation will be from 6:00 until 8:00 PM at Lord & Stephens West Funeral Home in Watkinsville, Georgia on Friday, February 1, 2019 and on Saturday, February 2, 2019 from 11:30 AM until 1:00 PM. Funeral services will be on Saturday, February 2, 2019 at 1:00 PM at Lord & Stephens West led by Rev. Blake Smith. Crawford will be laid to rest at Arnoldsville Cemetery.